DAVID LE/Staff photo. 5/12/15. 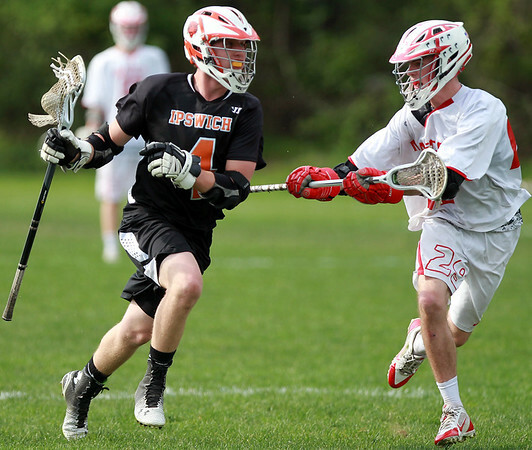 Ipswich senior midfielder Vinny Martineau (4) shields the ball while being closely defended by Masco sophomore Adam Story (29).